Flight time 5 HRS FROM LONDON. 11HRS FROM NYC. 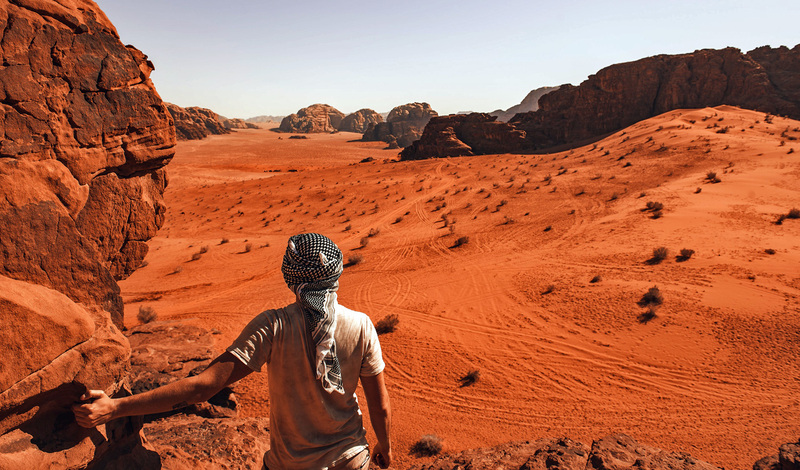 Rich in its long, winding history and shrouded with mystique, Jordan has always held a magnetic quality. It has provided a pilgrimage for many hundreds of thousands of pairs of feet that have come to explore the great swaths of desert wilderness that sit alongside a riot of colour and culture. The sounds of an altogether different daily life, the heady scents that fill the streets, the spectacle of Roman ruins and Biblical sites… there is no end to the intrigue that this little country holds. The landscape lives and breathes the story of time, so we’ve created an itinerary for the outdoor adventurers in our midst; an energetic and exciting way to get under the skin of this magical 35,637 square mile land. After touching down in Amman, we will arrange a transfer to take you an hour west to your abode, Movenpick Resort & Spa Dead Sea. Here you can look out at incredible Jordanian landscape as you experience the other-worldliness of floating on the famously lifeless waters of the Dead Sea. Slather yourself in therapeutic mud, soak in the salty waters and sunbathe; this natural wonder is the perfect spot to purge any stresses and get ready for your active itinerary ahead. The next day, you will be driven to the picturesque city of Madaba, where you can enjoy an aromatic local coffee before hopping on a bike and starting the 40km ride to Mukawir. It’s a beautiful and inspiring route with a mixture of terrains, but a dedicated support vehicle will always be close at hand if needed for a refresher or to get you up a hill. Once at Mukawir, your efforts will be rewarded by panoramic views across to the Dead Sea, the West Bank and countryside all around (on a clear night you can see the lights of Jerusalem and Jericho too). Refuel after the cycle with an authentic lunch of local cuisine in Mukawir village. Rising early, your next adventure starts at the Dana Nature Reserve, home to yet more spectacular arid desert and lofty mountain vistas. Here you will embark on a hiking trail from Dana to Feynan that takes you across the sandstone gorge of Wadi Dana. Far away from the sounds of the city or modern life, your trek will give you a few hours of blissful escape along remote, seemingly undiscovered, pathways – a route that is home to many native birds and other wildlife. Continue the tranquillity into the evening, as you stay at the beautiful boutique Feynan Eco-Lodge, which prides itself on sustainability and is known for serving delicious, locally sourced food. While staying at the lodge there are a variety of adventures you can do. Allow the local Bedouin to take you on a walking tour of the area, grab a map and cycle around nearby archaeological treasures at your leisure or join an off-road tour to some of the world’s oldest copper mines. The Wadi Feynan is your oyster. The following day, continue your journey up to Petra, one of the world’s great wonders; we always like to save the best until last. Also known as the Rose Red City, due to the colour of the stone from which it emerges, Petra is so magnificently and seamlessly carved into the rock that you start to get an inkling of how it went undiscovered by the Western world until the early 1800’s. Allow plenty of time to wend your way around over 100 square kilometres of awe-inspiring landscapes, and we recommend getting a guide to recount the stories behind it, too. This is somewhere that you’ve probably seen countless pictures of, so rather than us trying to conjure up a sense of the visual spectacle in a few short lines, we’ll leave you to discover superior reality for yourself. Culturally enriched and refreshed from days in the great outdoors, you will return to Amman for 24 hours in the city before you fly home. 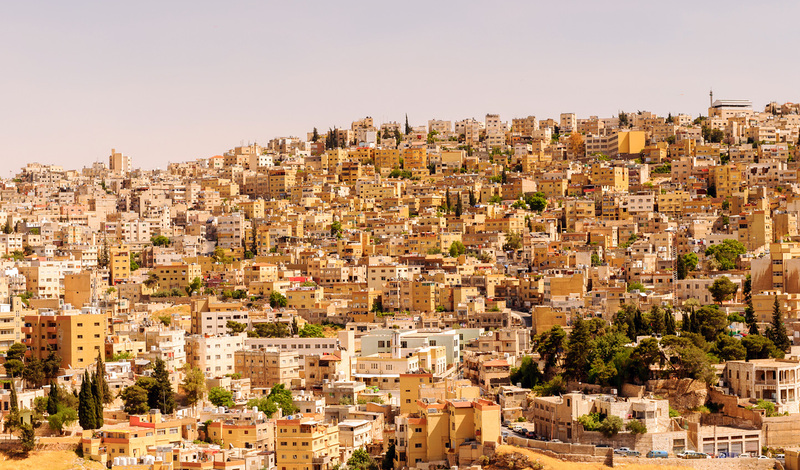 The vibrant capital is an ideal place to start emerging from the surreal, ancient kingdom you’ve just delved in to; a place to reflect on your experience and absorb every last drop of Jordan’s magic.